Upper Canyon Creek Campground lies just below the Canyon Creek Fish Hatchery. Areas surrounding Canyon Creek were devestated by the Rodeo Chedeski fire a few years ago but Upper Canyon Creek Campground show no signs of the fire. Ponderosa pine along with white and douglas firs surround the campground and shade it well, even during the summer months. The cool waters of Canyon Creek begin in a spring above the hatchery. Further downstream is a fantastic 2 mile strech of fly fishing along Canyon Creek. During mid week, you might be the only one out there and fish can be seen in all reaches of the river. This was once known as the best place to fly fish in Arizona. Just above the campground is the fish hatchery. The hatchery has self guided tours running throughout the week until 4 p.m.. Rainbow and brown trout can be fished for with lures and flies only. You will need to bear proof your camp here as the local wildlife includes black bear, elk, javelina, mountain lion, turkey and deer. Also, there is no trash service here so you will need to practice PACK IT IN, PACK IT OUT! 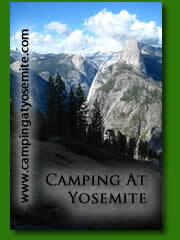 Campsite Panoramas - See each campsite at Upper Canyon Creek Campground. From Payson travel 33 miles east on S.R. 260 to F.R. 512 (Young Road). Turn left 2.5 miles south at F.R. 33 Colcord Ridge Campground and continue another 6 miles on a windy road to the campground on your right.